From the "chop-sockey" kung-fu epics on the big screen to practices like tae kwon do at local community centers, the martial arts have become a major phenomenon in Western culture. In On the Warrior's Path, author Daniele Bolelli examines the central figure in this trend: the warrior. 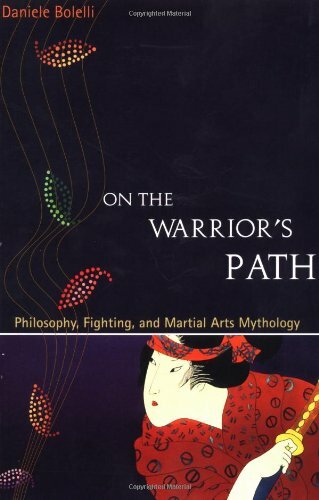 Bolelli, himself a martial artist, looks at every facet of the warrior lifestyle, from the unbreakable tenacity of the Japanese swordsman to the contemplative practices of the mysterious warrior monks of China. Drawing from both classical and popular sources of warrior culture, Bolelli shows what it takes to inhabit this singular role, along the way making surprising connections between martial arts and psychedelic culture, basketball, American Indian society, surfing, Star Wars, and more. Danielle Bolelli teachs at California State Long Beach, Santa Monica College, and UCLA. He is a regular contributor to a variety of martial arts magazines including the Journal of Asian Martial Arts, Inside Kung Fu, and Samurai. Bolelli holds a 4th-degree black belt in Kung Fu San Soo and is a practitioner of the traditional styles of Hsing-I, Pa Kua, and Tai Chi Chuan, as well as the emerging sport, Mixed Martial Arts. He is the author of several books in his native Italy. On the Warrior's Path is his first book published in the United States. We are an 18,000 square foot store/warehouse with over 300,000 books in stock. Some may call us a New Age / Metaphysical book store but we feel it is a Self-Help book store. We feature only books on Health, Nutrition, Psychology, Spirituality, Massage, Yoga, Meditation, wicca, crystals and other topics of this nature. Please feel to call for directions. We ship 6 days a week. Sundays Post office is closed.